Find out about what the Rotary Club of Edmonton West does in our community. 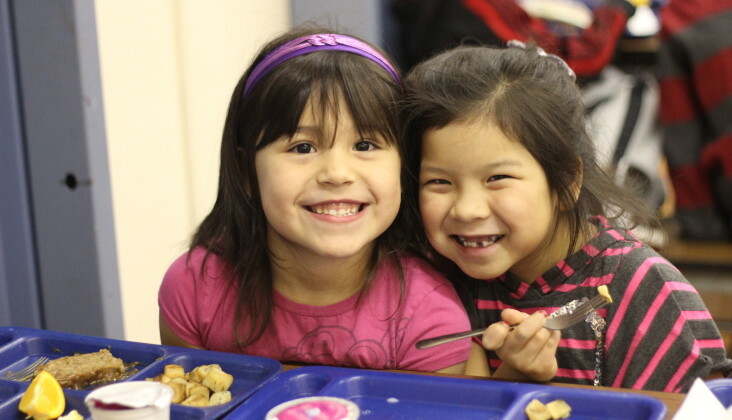 Edmonton West has financially helped with lunch and snack programs to three local schools. Each school determines how the funds would be used to support high needs nutrition programs with their school. Valour Place is a temporary home away from home for all Canadian Forces members, RCMP, Families of the Fallen, Veterans and First Responders along with their families who require medical treatment in Edmonton, and live outside the city/area. Through Valour Place, they have the means to face the challenges of rehabilitation in a warm, welcoming and supportive environment, at no cost. 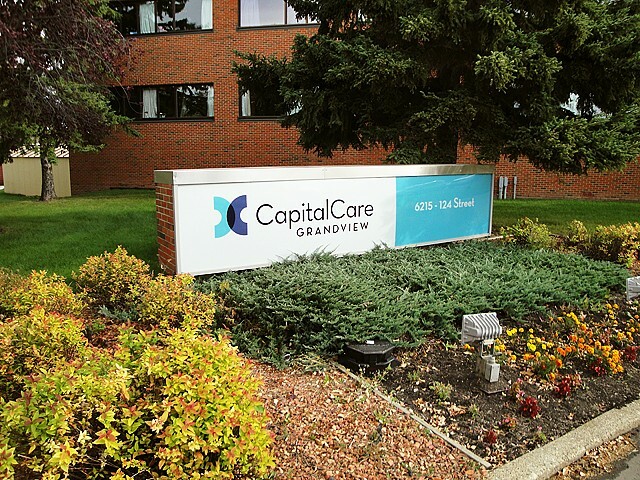 Edmonton West provides high quality entertainment to the residents of Capital Care Grandview from September to May. This entertainment usually involves musical programs arranged by Jerome Martin and Ingrid Neitsch. This program has been in place for many years and has included many famous Edmonton musicians and groups. Our club makes an annual donation to Wellspring. Many of us have also been through the volunteer training program at the centre and help with peer support and garden maintenance. A group of us have also helped with special events. A annual donation to help the building/restoring of the Windsor Block expansion in Fort Edmonton Park is being given. Rotary has long been involved with Fort Edmonton going back to the original building of the park. 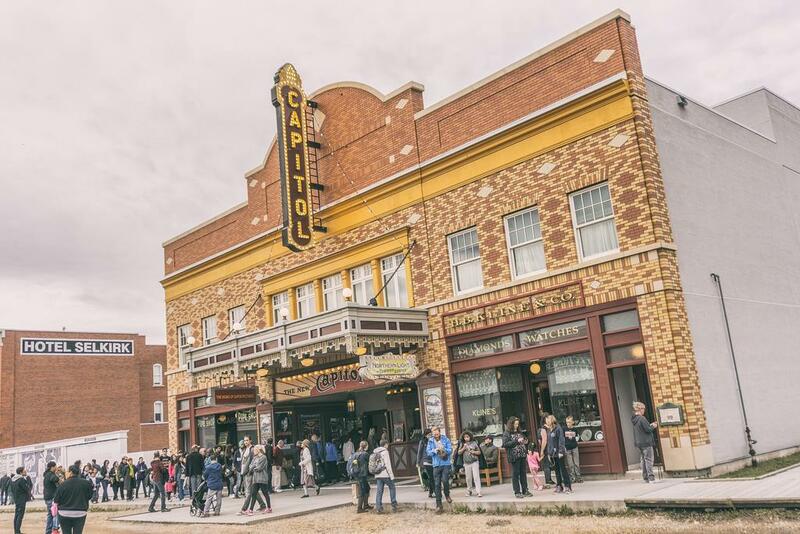 This latest development is part of the way we're helping remember both the history of Edmonton as well as assisting a local tourist attraction. This project will add in a façade between the existing Hotel Selkirk and Capitol Theatre representing the Historic Windsor Block and Albion Block. You can learn more here. E4C is a non-profit charitable organization that moves vulnerable people toward positive, healthy, and lasting change. 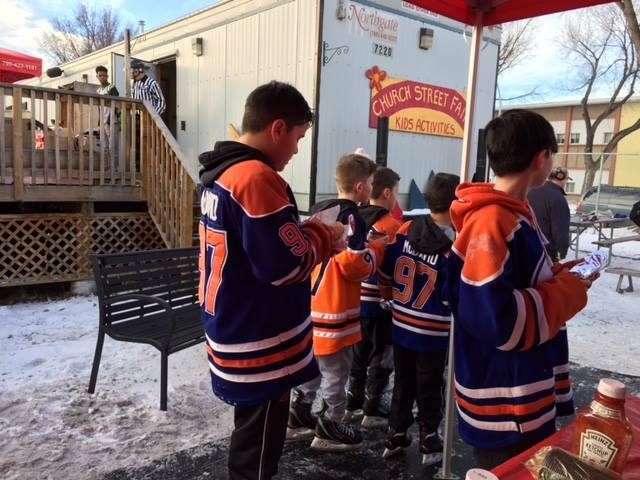 With the help of Al Hamilton, the local community league and local Catholic Church, Edmonton West Rotary supported the rebuilding and now continued maintenance of this inner city outdoor rink. Often seen on the news for the police service vs. local kids hockey games, and the occasional Oilers shinny sessions with the kids. This club has supported the 395 Squadron since 1983. The sponsor financially supports the activities of 395 air cadets. The Rotary Club has received the Top Sponsor Award from the Alberta Provincial Committee during it’s tenure with 395 Squadron. Sponsoring Committees work in partnership with cadet corps and squadron staff to ensure the viability of the unit. Their support is intended to complement the resources available from the Canadian Forces. The responsibility for the sponsoring committees falls to the Air Cadet League – as their Supervisory Sponsor.